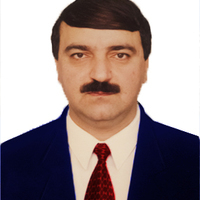 Hayk S. Arakelyan is Full Professor of Russian- Belgian University- WIDU, Armenian University of Integrative Medicine and Japan Medical Laser Laboratory. He is also the Clinical Research and Drug Safety Manager of ‘ Huys International JV Corporation. Basic scientific interests are Clinical Pharmacology,Interactive Clinical Pharmacology, Pharmacognosy,Internal Medicine, Clinical Research, Integrative Medicine, Dermatology,Computer Modeling of Diseases, Laser Therapy, PDT,Integrative PDT,Phytotherapy, Medico-biological Informatics, Herbal Therapy, Iridology, Meteopathology ( Weather and Human Health), Medical Cosmobiorhythmology, Pain Study and Management, Clinical Biochemistry, Medical Chemistry. Music Therapy,Treatment Tactics,Incurable and Rare Diseases,Clinical Allergology and Immunology. How did I Come Across into Cancer Field?